… it sounds healthy, fit and cutting edge… and it’s all true. Sports medicine is a term that talks about staying in the game, getting back in action, being your best and being treated like a superstar jock, no matter if you’re a Super Bowl Quarterback or a gym class hero. We all want to be the best we can be immediately. We want to stay in the game. As Foot and Ankle Specialists, our goal is to get our athletes back in the game. When athletes are sidelined with ankle sprains, fractures and tendinitis, Podiatrists have many tools to get them back on their feet as soon as possible. Today sports medicine is filled with excellent treatments from Podiatrists, and they’re available for everybody. While there are several options that you and your podiatrist can discuss, two of the recommended treatments are custom orthotic shoe inserts and extracorporeal shockwave therapy (ESWT). You may ask: how does extracorporeal shockwave therapy work? It is a weekly treatment in the office that needs no anesthesia, needles, shots or pills. It’s slightly uncomfortable, but not painful. With Shockwave, the soundwaves are applied to help stimulate a new healing response from your body to the injured tissue. The treatment takes 15-20 minutes, and you can go about your day afterwards. We do this weekly for 4-6 weeks to stimulate healing in the tissue. Hopefully, we can all benefit from the hard research that many great doctors have done, and the tough decisions that a lot of athletes have made to stay in the game. My hope, as a doctor and caretaker of feet and ankles, is that I can provide that for my patients. I’m middle-aged, and I have a dim future in sports. But I still run, exercise and try to stay fit. I try to be an active husband and father, and I want the best for my patients and myself. 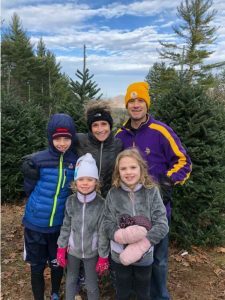 Dr. Kirk Woelffer, wife Christina and kids on a family adventure. Even if you’re not a jock or a runner you deserve the best. The treatments exist to get you better and make you the best you can be. Podiatrists like me and my colleagues are out there, who love their job, and can help you be the best you can be– to stay in the game. 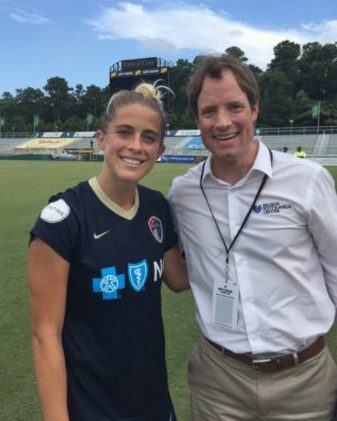 Dr. Kirk Woelffer is the Official Podiatrist of both the North Carolina FC professional men’s soccer team and the North Carolina Courage professional women’s soccer team, and he also serves as Company Consultant for the Carolina Ballet. He works in two offices for your convenience- Raleigh, NC (Blue Ridge) and Raleigh, NC (Millbrook). 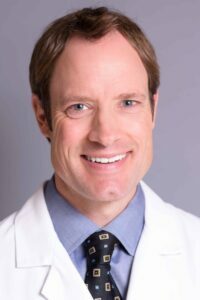 Dr. Kirk Woelffer and Foot & Ankle Specialists of the Mid-Atlantic, LLC expressly disclaims all warranties of any kind, whether express or implied, related to any products offered for sale on this web site. 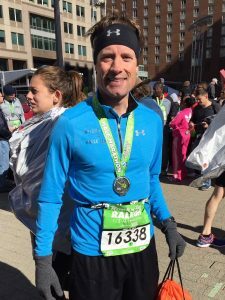 Dr. Kirk Woelffer and Foot & Ankle Specialists of the Mid-Atlantic, LLC further expressly disclaims any product warranties of effectiveness or fitness for any particular purpose or use. You are solely responsible for your use of, or reliance on, any products offered for sale herein, and any consequences arising out of such use or reliance. In no event will Dr. Kirk Woelffer and Foot & Ankle Specialists of the Mid-Atlantic, LLC be liable for any damages resulting from use of or reliance on any such products, whether based on warranty, contract, tort or any other legal theory. Sports medicine… it sounds healthy, fit and cutting edge… and it’s all true. Sports medicine is a term that talks about staying in the game, getting back in action, being your best and being treated like a superstar jock, no matter if you’re a Super Bowl Quarterback or a gym class hero. We all want to be the best we can be immediately. We want to stay in the game.